At Ninja Locksmiths, we always put our customers first. 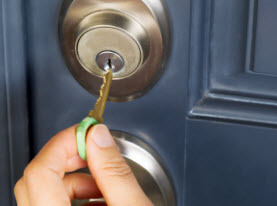 We are available around the clock to offer full service locksmith care. 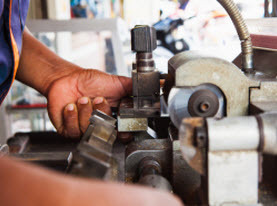 You can count on our highly trained technicians to deliver a large variety of comprehensive locksmith services to each of our valued customers. Following is a small sample of some of the outstanding services we have to offer you. We specialize in automotive replacement keys. There isn’t a vehicle out there that we can’t make a replacement key for. It doesn’t matter what make or model you are dealing with, we can replace key fobs, transponder keys and remote start. If you are dealing with either foreign or domestic vehicles, we have you covered. 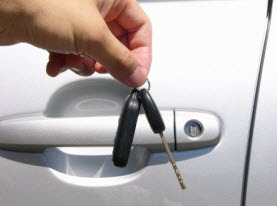 At Ninja Locksmiths we also provide our customers with auto lockout services. There isn’t anything worse than forgetting your keys inside your vehicle as you hear those door lock. If you find yourself on the outside looking in, we can unlock your car for you no matter what time of the day you need us. Call us for all your automotive locksmith needs. The safety and security of your commercial building can make or break your business. You want to know that the locks you have on the building are not only high quality locks, but that they are functioning as they should. At Ninja Locksmiths, we can set you up with a master key system that gives you access to every lock in the building in case you need it. We repair problems you may have with your locks and also replace locks or make new keys for lost or stolen ones. 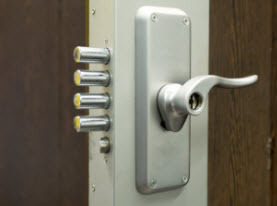 Call us to learn more about our commercial locksmith services today. You don’t have to worry when you pick Ninja Locksmiths, we specialize in getting you out of your situation as soon as possible. Whether you have locked keys in your car, lost the spare key to your home and have no way in, or the elevator is jammed at work and you need help, we’ve got your back. There isn’t a more qualified locksmith out there than Ninja Locksmiths. Don’t hesitate when you find yourself locked out, call us today for more information about our locksmith services.